Availability: Ships Directly from the manufacturer in 2 to 3 days. Add an understated elegance and old world charm to any room! 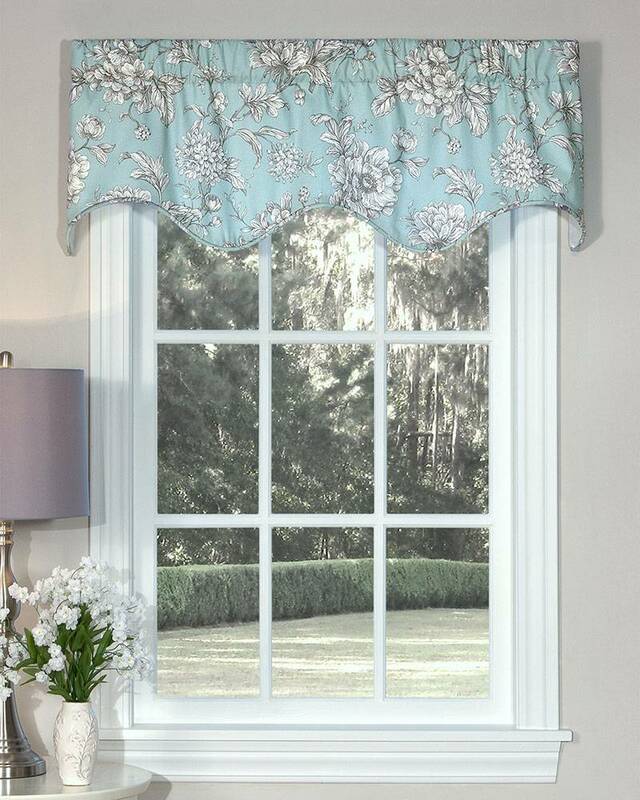 This Aquarius Lined Scalloped Valance showcases a medium scale floral pattern done in the soft livable colors of grey and candlelight white on a light blue background. Fully lined, this beautifully handcrafted valance has a self piping that frames and accents the gracefully scalloped bottom edge of the valance.